During our travels, we frequently check our favorite travel apps and websites before arriving at a new destination, so we can have a smooth transition and some knowledge about our new temporary home. Apps and websites are changing the game for ease in finding free or paid campsites, cheap gas, locating services for your pets, and finding amazing trails or activities near you. Campendium is our favorite app to check first for free campsites, but they do also list paid campsites with more amenities than you’d have boondocking. The information provided about most of the campsites can include cell reception for different cell carriers which is important to any travelers that work remotely and cannot be fully off-grid. This app seems to have the most user reviews and quality photos of a large portion of the campsites listed on the app. iOverlander has been one of our best sources for finding camping options. This app offers free camping (or “Wild Camping” as they have it listed) and paid campsites. Each campsite listed on this app has been stayed at by someone else using the app, so for the most part there are reviews about what type of vehicle is needed to access the campsite, photos, GPS coordinates, and a small list of amenities that may or may not be available on-site. iOverlander also has options to search many other categories than just camping—in this app you can search for laundry locations, propane or fuel, pet services, sanitation dumps, fresh water, and much more. Freecampsites.net is best for big travel days where you just need a free place to pull over and park to sleep a few hours. 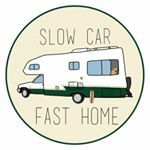 This website will give you a lot of different options—parking lots, pull-offs, public parks, casinos that allow RV overnighting, Walmart parking lots, etc. Harvest Hosts is one you’ll have to pay a fee to join, but once you are a member you then have access to over 600 hosts that allow you to camp for free on their property. The hosts locations and properties range from wineries, breweries, alpaca farms, goat farms, aircraft museums, car museums, lavender farms, and more, so it’s an extremely fun and different way to overnight somewhere! Allstays has a series of branch-off apps they’ve created, but the main app offers so much. Tons of paid camping options along with maps that show where public land and BLM land is for boondocking. There is a one-time fee to access the app, but it is worth that amount for the list of what it offers. They seem to have combined everything needed for a full-time traveler all in one space. Check out their website where you can get a preview of different state maps and the different camping options you can find on the app. GasBuddy has become our most frequently used app while we are on the road. It gives you a map showing your exact location and then you can easily slide across your travel path to see the nearest gas stations and their prices. The best feature for us is to be able to click on a gas station for directions straight from the app. Pilot and Flying J are travel plazas and truck stops. They allow overnight RV parking and when you sign up you get cheaper gas, and you receive a discount for a cheap option for dumping your tanks (most have dump stations but not all). They usually have decent snacks and clean bathrooms—two other perks of stopping! This app will help you find these truck stops across North America. Sanidumps.com has been a great resource for finding cheap or low-cost sanitation RV dumps. That is a small fee that is necessary for most RV travelers to account for in their monthly spendings, so cutting that cost down helps a ton. You’ll usually be able to find fresh drinking water at sanitation dump stations as well. AllTrails does not specifically show all dog-friendly hikes and trails, but this has been the best app for us to find dog-friendly hikes and trails. The app has detailed descriptions about each hike along with distance, incline, level of hike, and tons of pictures from other hikers. If you’re a full-time traveler with your dogs you can count on this app to point you and your pup in the right direction! Rover is a perfect solution if your travels take you to a national park or somewhere that is not dog-friendly for an extended amount of time, and if you need to have your dog tended to for the day or even over a weekend, Rover will be the best resource for you to find cheap and quick dog sitters or dog walkers. You have options of dog walking, daytime dog sitting, overnight dog sitting, and you can find sitters in tons of different areas. DogVacay is another dog walking/sitting app where you can find low-cost dog walkers or sitters easily in areas that you are traveling to.